With summer around the corner, it’s time to start coming out of hibernation and enter beast mode. However, beast mode requires that you train like a maniac. Unleash the adrenaline and endorphins, feel how this human machine moves, and reach the epitome of peak fitness. Well, in order to help you achieve the fabled beast status, we have the GoRuck 60lb Training Sandbag. Designed to build strength in all areas of your body, especially your core, the GoRuck Training Sandbag is a must-have fitness accessory. 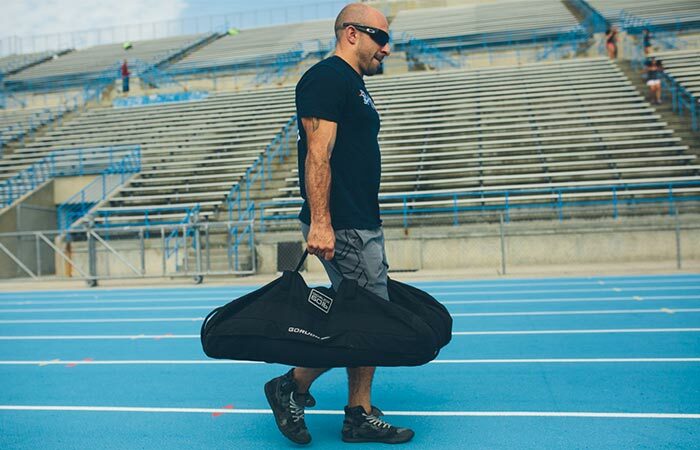 The 60lb Training Sandbag will have you going from hibernator to beast in no time. The 12 padded handles makes it really easy to carry around. Of course, as GoRuck’s name stands as a testament, these sandbags are designed to be super tough and have been tested over thousands of miles of stress tests. The toughness comes from the fact that they are constructed completely out of 1000D CORDURA, and they are constructed in America. Check out the video below. Its unique design allows you to carry it in different positions to target different muscle groups. To give you ease of access, and to target different muscle groups, this sandbag comes with twelve padded handles. This allows you to carry and manipulate it in a variety of different ways. They also come with genuine YKK zipper enclosures, and feature a durable, embroidered GoRuck logo. This sandbag is meant to be used with filler bags that are sold separately to protect the zippers. Fill the filler bags with sand, place them in the bag, and abuse it as you wish. Get it from GoRuck here.